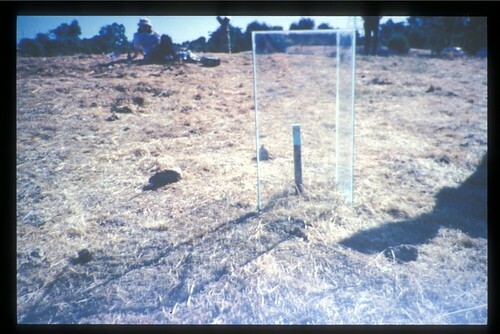 1995: exhibited “au plein air” at Gomboc Gallery, Perth as part of Gomboc Sculpture Survey. 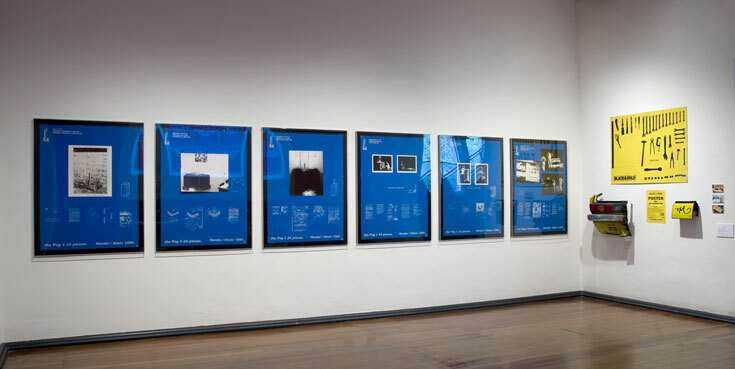 The Peg#24 Pieces went through several iterations and locations during 1995-6: Artshouse Gallery, Putting on an Act at PICA, UWA School of Architecture and Fine Arts, and the Perth Cultural Centre Forecourt. 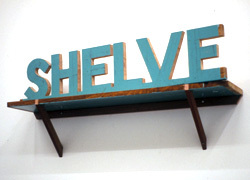 The “documentary artwork” (silkscreen and photographs) shown above, about The Peg#24 Pieces, entitled The Blue Panels (1995) was exhibited at PICA, Perth, in October 2008 as part of Silver Artrage Festival history exhibition.